Oral history interviews provide tangible access to the past, with narrators offering first-hand descriptions in their own voices of historical events, ideas, and mindsets. Bringing K-12 students into close contact with these unique auditory sources can give them a very real sense of what it was like in years past, leading to personal connections, the development of critical thinking skills, and an interest in history that is sometimes missing in middle and high school youth. 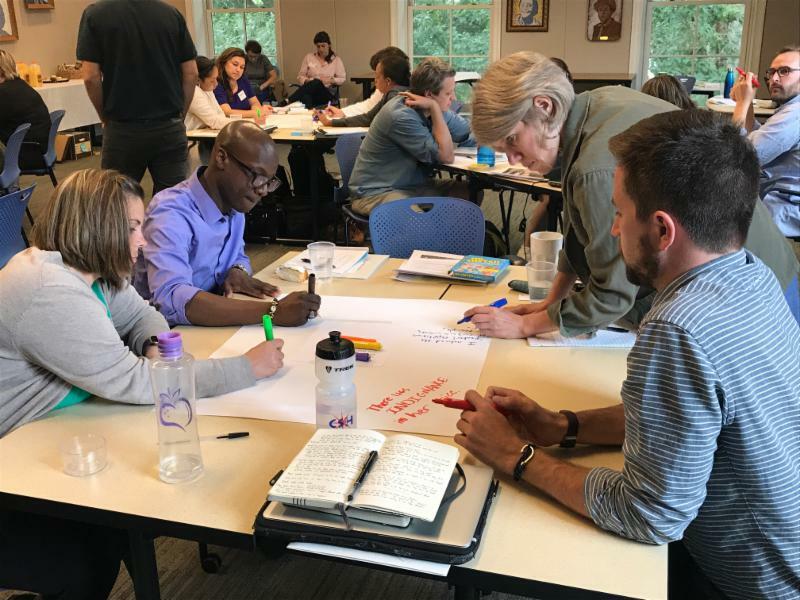 With this in mind, UNC-Chapel Hill’s Southern Oral History Program (SOHP), in collaboration with Carolina K-12, is excited to announce and solicit applications for its second summer of the Carolina Oral History Teaching Fellows in Civil Rights. This unique program will provide fifteen middle and high school teachers from around the state with an intensive exploration of how to utilize oral histories that relate to the long Civil Rights Movement in the K-12 classroom in effective, meaningful, and creative ways. While this program is designed with the middle and high school social studies teacher in mind, teachers in other disciplines (such as English/Language Arts teachers) with a demonstrated interest in integrating civil rights instruction and oral histories into their course are also eligible. Each fellow will then return home to complete independent research in the SOHP collections (all transcripts and audio files are available online) with the goal of creating playlists of short clips from various civil rights interviews which will be particularly useful to classroom teachers. Fellows will then write one creative lesson plan that utilizes their selected oral history clips. Please note that applicants must be able to attend all hours of the June 25-28, 2018 event in order to be selected as a fellow. Teaching history is too often an exercise in rote memorization. This dynamic fellowship will provide a chance for teachers to learn and collaborate on creating and implementing creative strategies to engage students in critical thinking while tying past civil rights events to contemporary issues. Don’t miss this unique opportunity for middle and high school teachers – apply today! The deadline for applications is Friday, May 11, 2018. Applicants will be selected by a committee comprised of UNC-Chapel Hill faculty and staff, and will be notified on or before Friday, June 1 of their acceptance. Funding for this program is provided by the Southern Oral History Program and the North Caroliniana Society.